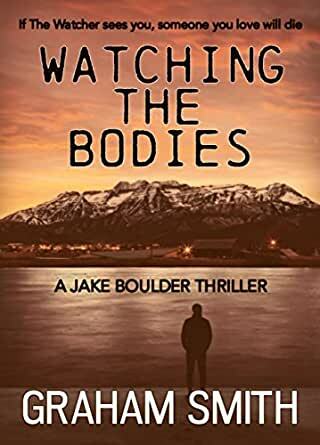 Watching The Bodies is the first in Graham Smith's new Jake Boulder series, a fast-moving and action-packed crime thriller, it will appeal to greatly to fans of Lee Child's Jack Reacher series. Watching The Bodies is a fast-paced thriller full of action and adventure. 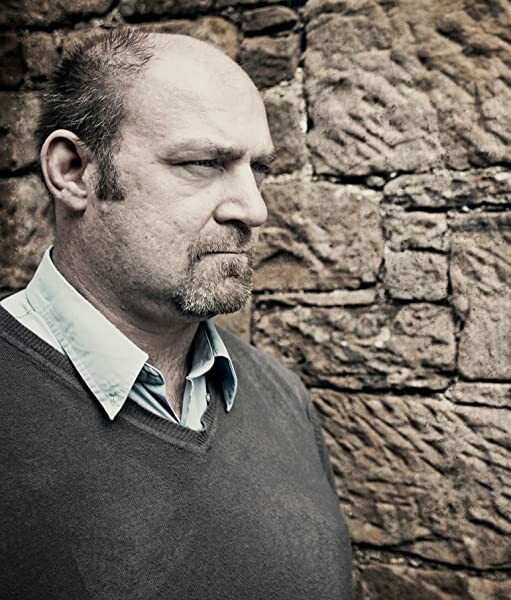 The Jake Boulder series appeals to fans of Lee Child's Jack Reacher series as well as authors like; Rob Sinclair, David Baldacci and Ian Rankin. 5.0 out of 5 starsBrilliant start to a new series! Watching the Bodies has been sitting on my Kindle collecting dust since publication day and I can’t believe it’s taken me this long to finally get around to reading it! This is the first book I’ve read by Graham Smith and I can already tell you that it won’t be my last. Let’s start with our protagonist. Jake Boulder isn’t a police officer or detective. He’s just a guy who works in a bar called The Joshua Tree. He has commitment issues, a narcissistic mother and a temper that boils right underneath the surface, ready to ignite before you get the chance to say “Oh, Jake, take me away!”. He’s intelligent, perceptive and determined but not exactly the man you take home to meet your parents. Still, that whole dark and brooding thing he has going on totally got my pulse racing and he makes an excellent narrator. His best friend Alphonse is a private detective and a whizz at all things IT. When he’s hired to investigate the murder of Kira Niemeyer, he quickly enlists the help of Jake. I really enjoyed the banter between these two. Their longtime friendship is a thing of beauty. Now, this killer, The Watcher, is something else. Not only does he have the most unusual way of choosing his next victim, he also has a novel approach to deciding how they die. Genius! The Watcher is on a mission. He wants to go down in history and he will stop at nothing to achieve that. Watching the Bodies is one of the best crime fiction thrillers I’ve ever read and a brilliant start to a new series. I could point out that maybe the ending wasn’t exactly what I’d been expecting but then I’d just be nitpicking. However, if the author’s aim was to leave the reader wanting more, then he totally succeeded in that and I absolutely can’t wait for the next instalment! 5.0 out of 5 starsONE OF THE BEST BOOKS OF IT'S KIND I'VE READ ALL YEAR! I can honestly say that this is one of the best books I read throughout the entire year. I'm retired and, being a voracious reader, it's not uncommon for me to read two to three books a week. One of my criteria for determining what books I'm going to read is that it has to capture my attention within the first few pages before I will spend a large block of time to see if it holds my attention. I have to give this book a high rating because it accomplished every thing you can ask for in a good read; it captured my attention quickly and held it throughout the book. The plot was typical of the books in this genre but was atypical in the sense that the characters were believable and well developed, the story was told from the viewpoint of both the hero and the villain (something if not done well can be disastrous), and the ending was believable, which is much easier said than done. The main character, Jake, had a lot of the same problems many of us do; fear of commitment in his romantic relationships, a mother whose biological clock for grand-children is running out of time, a job which allows him to be able to give in to his somewhat violent nature (he's a bouncer in the local bar), and a friend who is a tech savvy guy who is allowed to help out the beleaguered Sheriff in their small town. All of these ingredients are pretty much standard fare in such books but the author, like a good cook, mixes them all together to make for a very tasty main course. This is the first installment in the Jake Boulder series and I, for one, am looking forward to the next installment. It is no small feat for an author to stand out in an extremely crowded field, but Mr. Smith has already begun to set himself apart from the rest of the pack. I don't think we've heard the last of Jake Boulder, or Graham Smith for that matter. 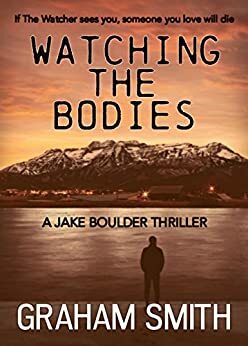 If you appreciate a good book with interesting, believable characters, a strong plot line, and an ending that doesn't defy logic like so many others of it's kind, spend a little time with Jake Boulder-you'll be glad you did. 4.0 out of 5 starsJake - afraid of the water? Jake Boulder is smart and effective, but pretty coarse. A friend gets killed, then someone else, and before you know it, we have a serial killer on the loose. The killer chooses his next victim by watching to see who finds the body, then goes for someone from the finder's family. Of course there are complications. There is a new police chief who inherits worthless detectives who got their jobs from family connections - the mayor, who is also worthless. The local newspaper reporter is from the east coast and is loud and obnoxious, but a pretty good reporter. Jake's mom is a pain, sorry mom. To top it all off, the friend who got killed at the start had a thing for Jake, and he didn't know it. Without going into any more detail, you should read it, it will keep you interested. 4.0 out of 5 starsWatch out for "The Watcher"
The chapters are written in the first person from the perspective of either Jake Boulder who is the main protagonist or “The Watcher” who is the killer – this technique worked very well in telling the story. The reader doesn’t know who “The Watcher” is until near the end of the book. I don’t have a preference regarding when the villain is revealed in a book; it’s more important that the story is written well enough that it makes you want to keep reading to see how it ends. Mr. Smith certainly did that for me – the story kept my interest without a lot of unnecessary description. I did find it hard to believe that the town’s Chief of Police and the FBI would let a civilian get so involved in a serial murder case; however, I just chalked it up to “artistic license”. Also, I would have liked a little more of an ending; an epilog could have tied it up nicely. As an aside (and not as a criticism) based on the way some contractions were used, I could tell Mr. Smith wasn’t raised using U.S. English. Four examples: “I’ve to pick her up at the Coroner’s Office” – “That’s why I’ve not had a drink for so long” – “I’ve a lot to tell you” – “It’s a promise I daren’t break” It didn’t keep me from enjoying this book – just sounded a little strange to my U.S. ears.